All four allowed suits for the Dragon Flite 95 are on hand and ready for same day shipment. Prices are: A-Suit (TS40) - $75, B-Suit (TS40) - $65, C-Suit (PX75) - $60, D-Suit (PX75) - $55. Fleet discounts on minimum three suit orders are available, all standard numbers and draft striping and reinforcement color options are in place. DRAGON FORCE A-Suits are available with our standard reinforcement colors, single suit orders can have class insignia, racing numbers (on both sails) and draft stripes added and all completed for SAME DAY SHIPPING. Three Suit Order qualifies for 15% Fleet Discount and $20 off shipping compared to Three separate orders. 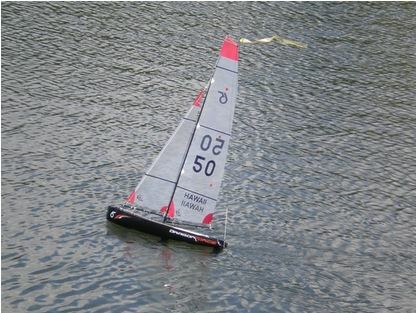 When e-mailing Carr Sails, put "Model Yacht Sails" in your subject line to avoid getting caught in our spam filters.